Pre-punched, formed galvanised steel connector available for all types of timber I-Joists - very easy to install! Fastening I-Joists to the face of beams or bearers. 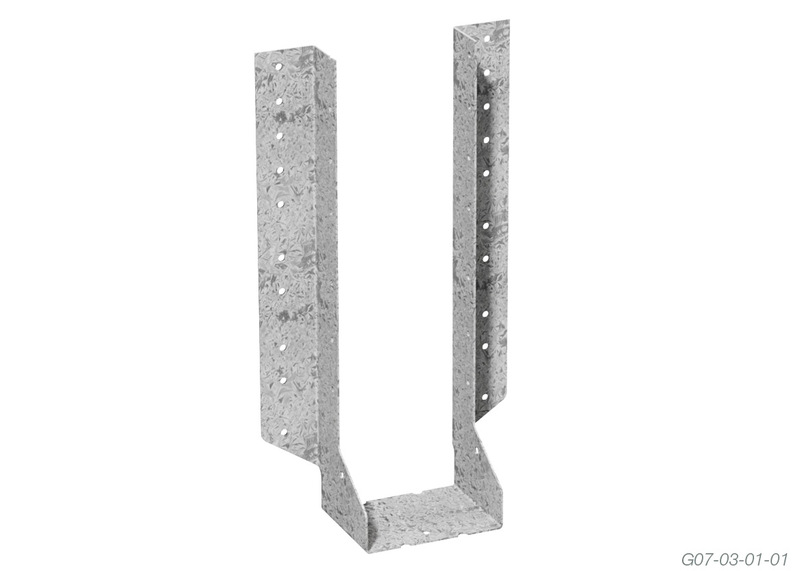 Designed for residential and normal loaded I-joist applications, the Multinail I Beam hanger allows flexibility in fastening by using nails. 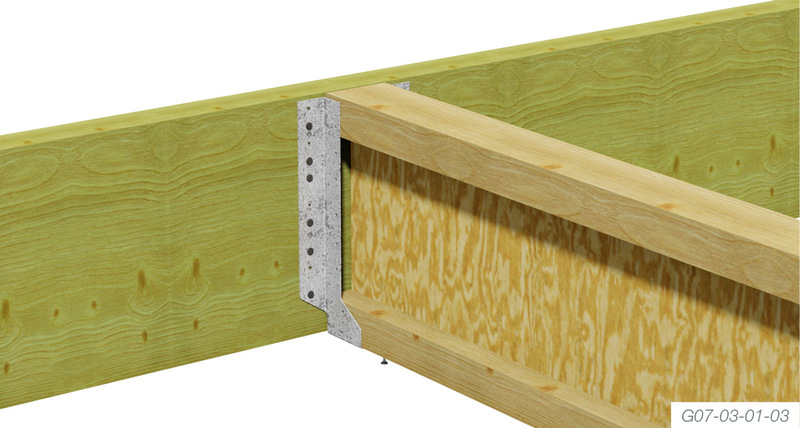 A screw secure fixing into the joist bottom flange holds the joist in position and prevents timber joist squeaking. The I Beam Hanger is easy to install. Simply use 12/40mm x 3.75Ø galvanised nails, 6 nails through each wing, for face mounted hanger. Use one 30mm-No.6 Type 17 bugle head screw through bottom hole to hold joist in position. 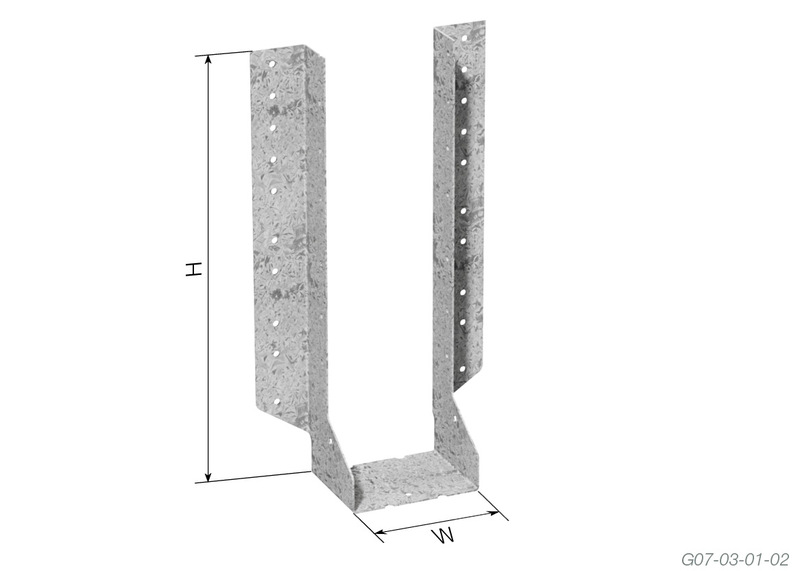 Multinail Face Mounted I Beam Hanger secured full height of I-Joist to beam/bearer using galvanised nails. 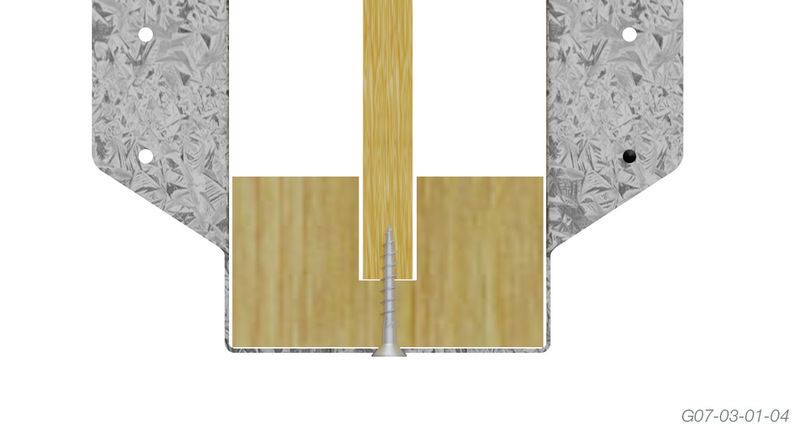 Multinail recommends fixing 30mm-No.6 Type 17 bugle head screw through the I Beam Hanger bottom hole to joist bottom plate. NOTE: The capacities are derived from AS1720-2010 and are for uplift in houses where failure is unlikely to affect an area greater than 25m2. For primary elements in structures other than houses or elements in a house for which failure would be greater than 25m2 these capacities must be multiplied by 0.94. For primary joints in essential services or post disaster buildings multiply by 0.88.